Any student with a documented disability is eligible to receive services from Student Accessibility Services (SAS). Clark University offers a range of legally mandated accommodations to students with documented disabilities to give them access to full participation in equal educational opportunities. Eligibility for these services is based on documented need and is determined on a case by case basis. The purpose of accommodations is to reduce or eliminate any disadvantages that may exist because of an individual’s disability. The law does not require institutions to waive specific courses or academic requirements considered essential to a particular program or degree. Instead, they are mandated to modify existing requirements to ensure that individuals are not discriminated against on the basis of their disability. Reasonable accommodations are not intended to eliminate a student’s disability, but to support the student’s own efforts to circumvent obstacles to learning. Students are expected to meet the essential course and degree requirements. When necessary, SAS staff will consult with faculty regarding essential standards in order to determine reasonable accommodations. Accommodations are not substitutions for faculty academic decisions such as course content, grading, or syllabus requirements. These determinations are not within the jurisdiction of Student Accessibility Services. 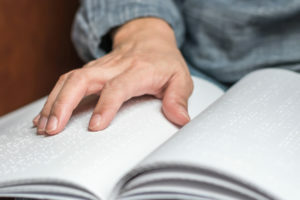 Disclosure of a disability is voluntary; however, it is important to note that the university is not responsible for providing accommodations to a student who has not provided appropriate documentation of a disability to Student Accessibility Services and requested a reasonable accommodation. Below is a list of some common accommodations provided by Clark University. In order for a student to receive accommodations, the student must provide appropriate documentation that indicates the need for each requested accommodation and then have an intake meeting with professional staff member of SAS. The University may deny an accommodation if it would fundamentally alter an essential requirement of a course, activity, job and/or program or pose an undue hardship. The list is not exhaustive as every accommodation decision is an individual one made through the interactive process between the director and the student, and some needed reasonable accommodations may not have a place on this list. This purpose of this list is to give readers an idea of what Clark has to offer when ensuring access is given to a student’s education. If a student has the accommodation of computer access for exams/quizzes, computer access can be made available through the specific academic department or Student Accessibility Services. Students are not allowed to use their own laptops for tests without permission from their faculty member. Students who have had the accommodation of a notetaker in high school find that using a recording device, such as a smartpen or an audio recording program on a laptop, in class is a more appropriate accommodation. It is always advised that a student inform the faculty member that he/she will be recording the lecture. If a student has a documented need for their texts and other classroom materials to be in alternate formats (such as PDF, mp3, Braille, etc.) SAS will help procure those materials in a format that is more accessible to the student. The student is still responsible of purchasing/renting their books themselves in whichever format they wish to do so in, but after they do so SAS will help students find their books in a different format. SAS works together with Residential Life and Housing (RLH) to give housing accommodations to students with disabilities who qualify. When requesting housing accommodations please do so as early as possible as students approved for these accommodations meet with RLH a month or so before the lottery process to pick rooms that meet their needs. If you put in a request late, there is no guarantee that RLH will be able to deliver these accommodations. If a student requests an accommodation during the semester they should understand that the process could take some time as occupancy can dictate what options are available. For new incoming students, students should self-identify when filling out housing forms with RLH and make the same requests there that they are requesting through SAS. Medical singles are physically the same as traditional singles. Singles being used as medical singles are due to an accommodation approval and will be billed as comparable doubles instead of being billed as a single. Clark does not offer 100% private bathrooms due to the layout of its residence halls. Some of its halls, like Dana, Hughes, and JSC, offer multiple lockable single stall bathrooms per floor and are considered semi-private. Those with this accommodation can be placed in a room in close proximity to at least one of these bathrooms. SAS and RLH will work hard to meet the needs to students with this accommodation as much as is reasonably possible. Some students need a room on the first floor, or a room in close proximity to an elevator. These are some examples of this accommodation in effect. SAS and RLH will work with students with a need for this type of accommodation and determine what options are available to meet their needs. Animals are typically not allowed student housing, but if a student has a documented need for an emotional support animal (ESA) then RLH will allow a student to live with one if reasonable for the animal and the space it will occupy. Clark typically does not allow air conditioning (AC) units be installed in the windows of rooms, but if a student has a documented need for one then Clark’s Physical Plant will provide the AC unit and install it, then, later on, will uninstall it when necessary. Students should not bring their own AC units to campus. Assistive technology (AT) is a broad term to describe any piece of technology that can help mitigate a challenge due to a person’s disability. AT in this case refers to reasonable purchases such as bed shakers, flashing fire alarms, etc. Clark will cover reasonable purchases like this based on the student’s need. If a student needs to take less than four courses a semester, they may request this accommodation to take three instead. Some Clark activates or policies require a student to be taking four courses, but when approved for this accommodation that rule will be waived for that student. Students with mobility impairments or chronic medical conditions who feel that a class location is not accessible may request classroom relocation. The director of disability services will work with the Registrar’s Office to process these requests. For classes Students with mobility impairments or chronic medical conditions who require to have their class schedule balanced in a particular way in order to better access their education can request this accommodation. Just like all accommodation decisions, these requests will be reviewed on a case-by-case basis. Once registered with Student Accessibility Services (SAS), students have many free services available to them here at Clark. One of SAS’s goals is to help students develop sustainable life skills that will serve them during their time at Clark as well as after. The services offered have this goal at heart. SAS works with students who wish to learn how to self-advocate for themselves via self-advocacy training. This can include one-on-one meetings on how to discuss a disability, how to talk with a professor, and how to present oneself in a professional manner. Typically these meetings are once a week or once every other week for about 30 minutes, but they can also follow a walk-in model when SAS staff have time available. If a student wants regular meeting they are encouraged to schedule them at the beginning of the semester as time availability of SAS staff is limited. SAS offers one-on-one training in the use of assistive technology (AT). SAS staff can assist students in accessing text in alternate format or in learning how to use a new piece of technology. Incoming first-year students registered with SAS will have a SAS staff member as their Summer Adviser before they start their first classes at Clark. During the summer this adviser can give out the PINs to students so that they can register for their first semester of classes. After the summer prior to their first classes, all students, including ones registered with the office, will have faculty advisers assigned to them who will give out the PINs needed for class registration from then on. Students registered with SAS will have SAS staff available to assist in general advising. SAS staff can still provide valuable academic advising to students by offering advising from a unique perspective. Specifically, from the perspective of the student’s disability and strengths, how it impacts them, and what classes may fit their strengths and challenges best. SAS works to refer students to the appropriate campus and community resources. SAS works closely with various departments on campus and is connected with various professionals off of campus. Listed below are several of the most commonly utilized resources.